We help individuals who concluded loan contracts related to CHF/PLN exchange rate (denominated in foreign currency or containing indexation clause). We invalidate contracts before courts, reclaim overpaid amounts, and set further instalments at CHF rates binding at the loan drawdown date. Moreover, we reclaim sums paid for the Low Initial Contribution Insurance. We provide legal aid for injured parties due to all kinds of accidents. We represent clients before insurance companies and during civil or criminal cases against wrongdoers or perpetrators. We negotiate favourable settlements and win compensations in the event of denied boarding, cancellation or long delay of flights. We register and transform companies and partnerships. Moreover, we draft, review, and assess contracts or articles of associations and other essential documents required to conduct business. We advise on business safety and compliance. We provide help to reclaim from debtors any amounts due. We search for debtors and their assets, we renegotiate terms of payment, we reclaim any due amounts. On the other hand, we help debtors manage their obligations and restructure their debts. We draw up applications for consumer bankruptcy and represent the client during initiated proceedings. We provide professional legal representation before common courts of all instances and before the Polish Supreme Court. We develop procedural strategies, draft claims, appeals, complaints and aid in obtaining other legal remedies and court`s orders. We also draw up petitions and pleadings in all kinds of matters. We ascertain acquisition of the estate (all rights and obligations of the deceased) under the statute or last will and testament. We advise on division of the estate between the successors, as well as assess and claim the share of estate reserved for the closest family not called to succession in the will. We prove before courts that employment contract was wrongfully or illegally terminated, we have employment relationship established by the court. We reclaim cash equivalent for leave, we claim damages or reinstate employees into their previous positions. We get clients safely through the divorce proceedings, we advise on marital property issues, we initiate proceedings to increase or decrease child support and alimonies. We set child visitation schedules and ensure its enforcement. Legal counsel in the Wrocław Legal Counsel`s Regional Chamber. He passed his professional exams with one of the highest results in the Chamber. He completed with honours full-time law studies at the University of Wrocław, Faculty of Law, Administration and Economics. Law practitioner, teacher, and scientist. 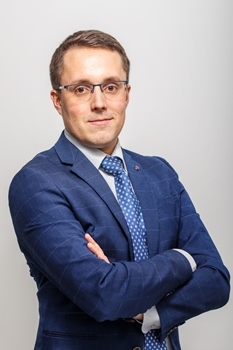 He gained professional experience from the early years of studies, practising in courts and different Wrocław law firms and providing pro bono legal advice. For four years, he taught civil procedure to the University of Wroclaw fourth year students. He also cooperated for several years with the Helena Chodkowska Law School in Wrocław, conducting seminars in the field of civil procedure, labour law and civil law. Author of scientific monographs and papers as well as glosses to the court`s decisions in the field of civil law, labour law and civil procedure (i.a. Objections to the minutes of the hearing in civil procedure, Civil procedure – selected issues and tests, Economic analysis of a limitation of a hearing in civil procedure, Deprivation of the right to speak and exclusion of questions during the trial in civil procedure, Preliminary agreement in employment relations, One-time feature of an employment contract for a trial period, Gloss to the judgment of the Court of Appeal in Białystok of April 12, 2013). Currently, he is preparing PhD dissertation at the Civil Procedure Department of the University of Wrocław. Professionally strongly associated with CHF denominated and indexed bank loans, he represents borrowers before courts throughout Poland in numerous processes for contract annulment or payment against the Banks. Mediator at the Wrocław Legal Counsel`s Regional Chamber. 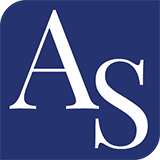 Founder and lecturer of the Saturday School, which provides legal English courses and trainings for other lawyers and offers translations of legal documents. Managing partner of the Law Office. His main fields of specialisation are claims for annulment of prohibited contractual clauses and claims for annulment of mortgage loan agreements related to foreign currency exchange rates. Moreover, he specialises in providing professional legal assistance for businesses. On a daily basis, he also helps individuals, i.a. in family and civil law matters. 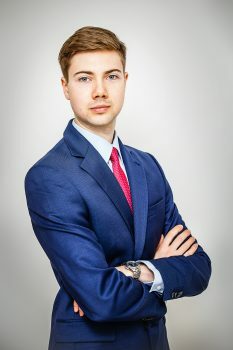 At the beginning of his career he gained professional experience in one of the largest advocate`s and legal counsel`s law firms in Poland, and afterwards- in one of the leading law firms in Wrocław. He was a President of the Management Board of one of compensation and debt collection legal firms in Wrocław. 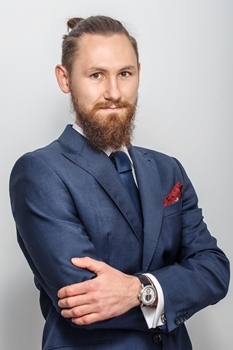 In addition to legal practice, he is a PhD student in the Department of Financial Law at the Faculty of Law, Administration and Economics of the University of Wrocław. Previously he was employed at the University as a scientific assistant at the Department of European Economic Management Law. He completed full-time law studies at the University of Wrocław, Faculty of Law, Administration and Economics. He defended his Master’s Thesis with a very good grade under the patronage of prof. nadzw. UWr dr hab. Dariusz Adamski, dean`s deputy for research and international cooperation. The subject of the thesis was “Forum shopping in cross-border consumer bankruptcy proceedings in the European Union”. During his studies, he also completed series of courses at Oxford University in Great Britain, concerning international and European law. Advocate, entered into the Register of Advocates maintained by the Wroclaw Regional Chamber of Advocates. 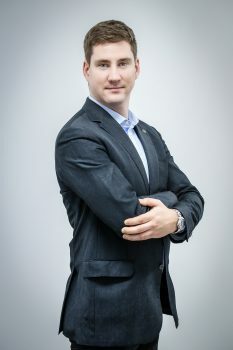 He completed full-time law studies at the University of Wroclaw, Faculty of Law, Administration and Economics and advocate’s training at the Wroclaw Regional Chamber of Advocates. LLP Erasmus Programme scholar at the University of Strasbourg. PhD student (2014-2016) at the Chair of International and European Law and team-member of Jean Monnet’s Centre of Excellence at the University of Wroclaw. Graduate of the Cross-Faculty Postgraduate Studies of Forensic Archaeology. He specializes in civil, medical and private international law, giving legal advice for business and representing before courts in litigation concerning CHF denominated and indexed bank loans. He is fluent in English and French. Legal counsel, entered into the Register of Legal Counsel maintained by the Wrocław Legal Counsel`s Regional Chamber. 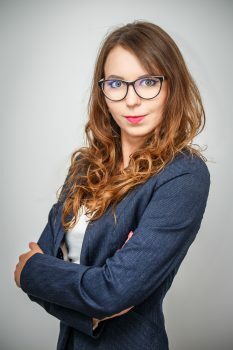 After she graduated from the University of Wrocław with a master’s degree in law, she completed legal training in the Wrocław Legal Counsel`s Regional Chamber. She started gaining professional experience during her studies in courts as well as in advocate’s and legal counsel’s law offices. She specialises in tax law and civil law, especially in claims for damages and bank loans denominated to CHF or containing the indexation clause. Due to her broad interests, she provides complex legal services for companies and partnerships, including establishment of companies in foreign countries. All of the above matters are presented in her scientific papers published on well-known legal websites. Legal counsel`s assistant. He gained professional experience while working and completing many internships in courts and advocate’s, legal counsel’s and notary’s offices. He is a pro bono activist, managing Consumer Advice Department of the University of Wrocław Legal Clinic. He remains in close cooperation with District Consumer Ombudsmen . On a daily basis he provides legal advice for companies and partnerships, aiding in casual and international transactions. In addition, he is interested in the damages cases, consumer law, disputes at the pre-trial and trial stage. 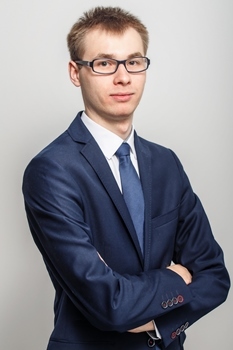 Apart from aforementioned matters, he study in details public commercial law- especially competition law, by writing his Master’s Thesis on EU competition law. During studies he was awarded the Rector`s Scholarship for the Best Students. His professional skills are constantly improving as he strives to complete many additional training courses, i.a. in the scope of mediation. She graduated from the University of Wrocław, Faculty of Law, Administration and Economics with very good results. She was awarded the Rector`s Scholarship for the Best Students multiple times. During studies she gave legal advice pro bono as a member of the University of Wrocław Legal Clinic. 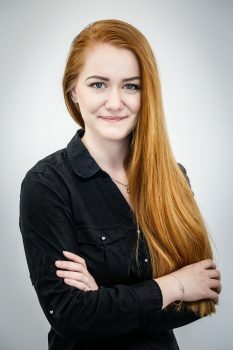 She gained professional experience in several advocate’s and legal counsel’s law offices in Wrocław, including one of the largest law office in Poland, specialising in personal interest protection and providing complex legal services for small and medium-sized enterprises. Her scope of professional interest focuses on the civil law, as well as the company and partnerships law. Her Master’s Thesis concerns the matter of liability of the partners in the partnerships. Advocate’s trainee. He graduated from the University of Wrocław, Faculty of Law, Administration and Economics. 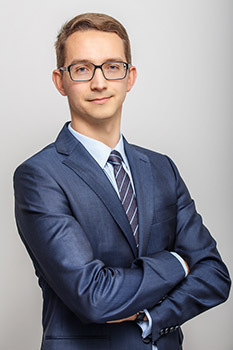 He gained professional experience in several advocate’s and legal counsel’s law offices in Wrocław, acting before common courts and other institutions. He has practical knowledge on claims for damages, including settlements negotiations and clients representation before courts in the civil and criminal cases. He is especially interested in the criminal law, in particular the right to self-defence. Law Student at the Faculty of Law, Administration and Economics of the University of Wrocław. Currently she works on her Master’s Thesis concerning labour law. 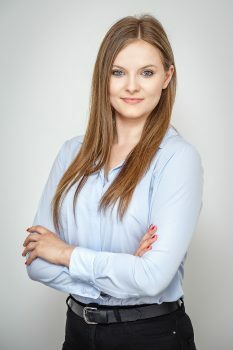 She gained professional experience in advocate’s law office located in Wrocław. 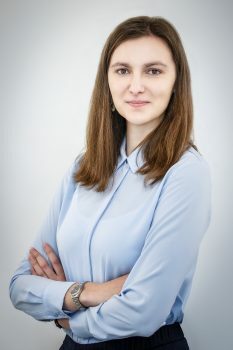 As a member of University of Wrocław Legal Clinic she provided legal advice pro bono as well as she managed the Clinic’s Prison Department by giving legal advice to imprisoned persons. She was a participant of Philip C. Jessup International Law Moot Court Competition, which is one of the largest moot court competitions worldwide. Multiple times she was awarded the Rector`s Scholarship for the Best Students. she is interested in motorisation and mathematics. Legal counsel`s assistant. At the beginning of his studies he was focused on the criminal law, being an active member of the Forensic Science Student Association. Later, he changed his scope of interest and developed fondness for the civil and international law. He benefits from the Rector`s Scholarship for the Best Students. Apart from his work, he writes scientific papers on claims for damages, mediation and bankruptcy issues. He is also passionate about the English language, currently continuing his Legal English courses, as well as German language. The controller of your personal data is Adam Sobota Legal Counsel from the Law Office in Wrocław, ul. Zwycięska 20A/110, 53-033 Wrocław. We process your data exclusively for the purpose of answering the questions asked in the contact form. The legal basis for data processing is taking steps at the request of the data subject prior to entering into a contract. Your data will be processed until we provide you an answer. After that data will be processed until the limitation period of your claims expires. Provision of personal data is voluntary but it is required to answer your question. You have a right to access personal data which have been collected, move them, object against their procession, right to rectify, delete or limit the process. You may file a complaint to the controller of your personal data or to the supervisory authority. HOW CAN YOU GET TO OUR OFFICE ? During rush hours we suggest to avoid route via Karkonoska street and Zwycięska street and recommend to take Sudecka street and Ołtaszyńska street instead. Public transport is also available – check out buses no. 612, 127, 113 and 112. WHERE CAN YOU PARK YOUR CAR ? There is a small charges-free parking next to the building. There is also a bigger parking next to the supermarket situated nearby. You can also park your car on one of many smaller streets around the building- for example Obrońców Poczty Gdańskiej street. Usually, due to convenience and privacy issues, we meet with the Clients at our office. However, at request we may also set the meeting in one of many restaurants or coffee shops located in Wrocław. For Clients from other cities than Wrocław, we can travel to any arranged location to provide legal aid- we just need to set the date and time of the meeting by the phone or via e-mail.